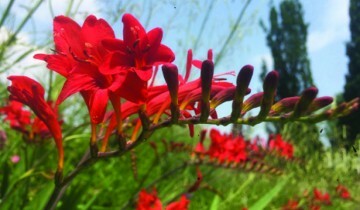 For many, August is a slow-me-down-time in the garden. 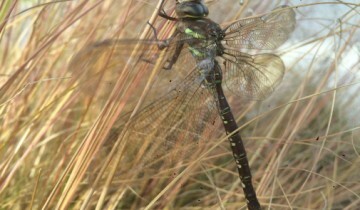 Not around here! 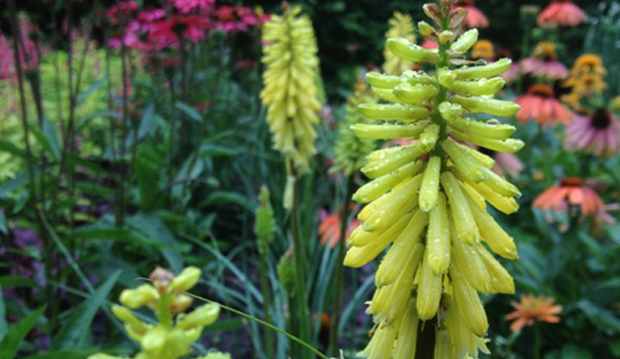 In the Show Garden Kniphofia ‘Lemon Popsicle’ (Popsicle Series) (red hot poker), from Terra Nova is part of the plant trials for 2013. 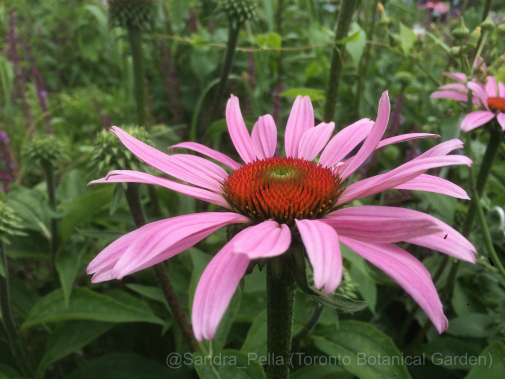 Echinacea ‘Leilani’ (Prairie Pillars Series) (coneflower) in the Show Garden. 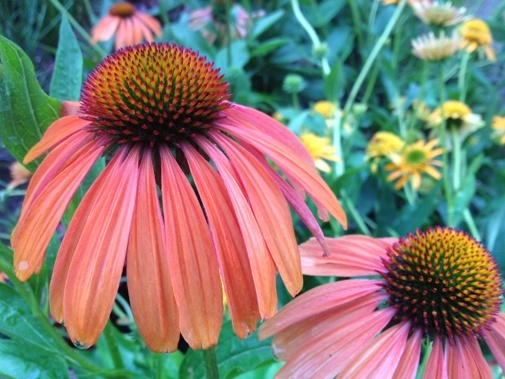 Echinacea ‘Colorburst Orange’ (coneflower) in the Show Garden, part of the perennial collection being trialled for 2013. 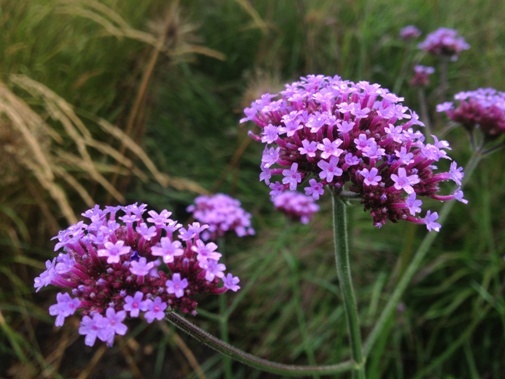 Verbena bonariensis (Brazilian vervain, tall verbena) This tender perennial self-seeds freely in the Toronto region, reaching up to 4 feet, flowering from mid-summer to frost. 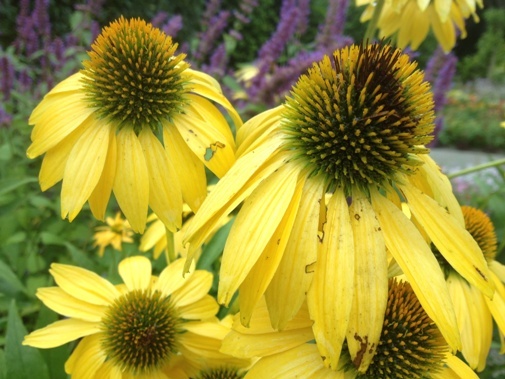 Where are all the monarchs? I’ve been asked this more than a few times! We are doing our part here in the garden to keep the ‘monarch highway’ open by not weeding out all of the native asclepias (milkweed). 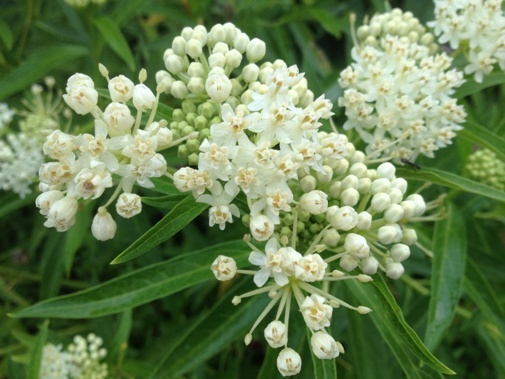 Seen here is Asclepias incarnata ‘Ice Ballet’ (swamp milkweed) in the Entry Garden. 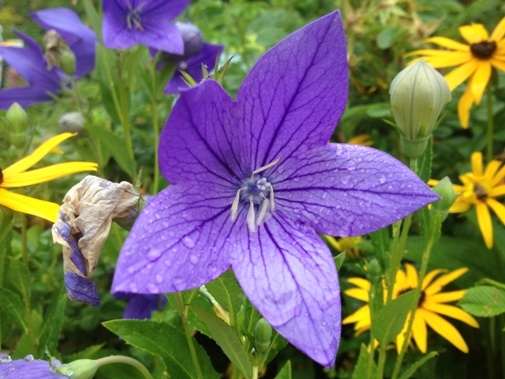 Platycodon grandiflorus ‘Blue’ (balloon flower) has upward-facing, bell-shaped flowers which continue throughout summer; in the Herb Garden. 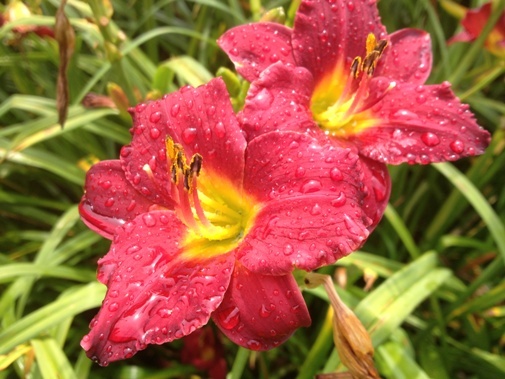 After a good rain Hemerocallis ‘Pardon Me’ (daylily) in the Entry Garden. 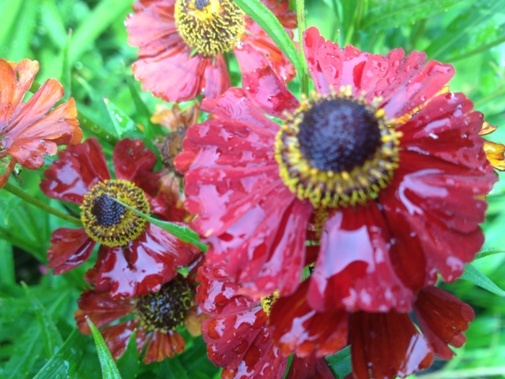 Helenium ‘Moerheim Beauty’ (sneezeweed) also holds up well after a hard rain, in the Entry Garden.